Coated Emperor® heads are warmer and more durable than Clear Emperor®s. Theyre made with two free-floating plies of 7-mil Mylar® film, which gives consistent open warm tones which accounts for their popularity among many of todays Studio, Pop, R&B and Rock drummers. BE-0112-00 Coated Emperor® heads are warmer and more durable than Clear Emperor®s. Theyre made with two free-floating plies of 7-mil Mylar® film, which gives consistent open warm tones which accounts for their popularity among many of todays Studio, Pop, R&B and Rock drummers. 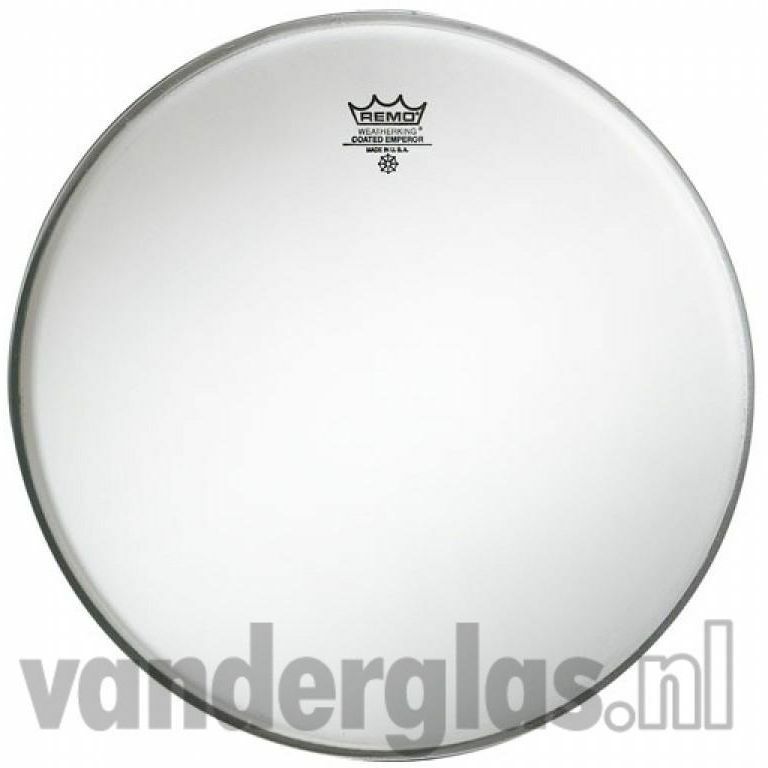 Slagvel 12" Remo Emperor wit coated voor € 18,00 bij https://www.vanderglas.nl/.